Lie in no ghetto of the heart. The second section of these selected poems contains extracts from the 1976 collection The Proper Blessing. Here, the poet’s sense of his religious identity develops: ‘Yiddish Poet,’ ‘Isaac,’ ‘Before the Trial of Eichmann,’ ‘Jerusalem,’ and ‘Tel Aviv 3.30 am’, as their titles suggest, wrestle with what it means to be a Jewish poet following the horrors of the Holocaust and the establishment of Israel. It was during the 1960s that Jacobs would write his Jewish identity into his name. After leaving Israel in his thirtieth year, he began signing his poetry ‘A. C. Jacobs’. The ‘C’ stands for Chaim – the Hebrew word for life. I found this very striking. All named, this place, accounted for. At a fabulous kingdom I hunt down. We could have walked around with your response. Overall, the structuring of Nameless Country works well to showcase the most important themes of Jacobs’s work, and demonstrates how the thematic focus of his poetry correlates with the chronology of his writing. Place, language, religion, and diaspora are the most prevalent themes. In our time of Trump and Brexit, with anti-immigration rhetoric on the rise, the poetry of A. C. Jacobs achieves a new relevance in its celebration of humanity and diversity, and in its deep understanding of the importance of an inclusive and expansive understanding of where and how we might belong. 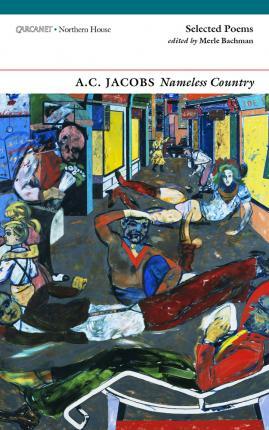 Nameless Country by A. C. Jacob is published by Carcanet, 2018. Will Burns is a PhD candidate at the University of Glasgow.